Life doesn't begin with birth or end with death. What happens to the self after leaving its present body? Does it enter another body? Must it reincarnate forever? How does reincarnation really work? Can we control our future incarnations? 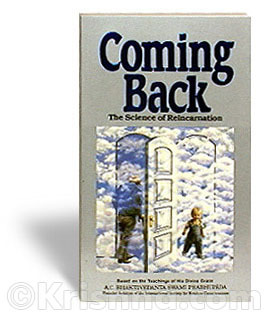 Coming Back answers these most profound and mysterious of all questions by presenting clear and complete explanations from the world’s most authentic, timeless sources of knowledge on the afterlife. With this book you will learn the science of controlling your present, determining your future, and dramatically changing your life!